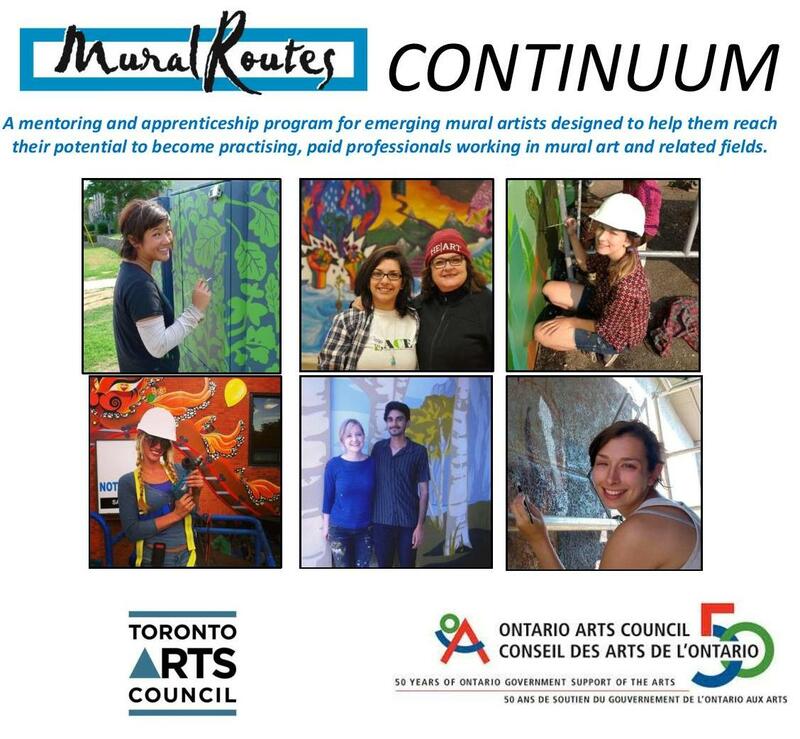 This past 2013-14, Mural Routes ran a pilot program called CONTINUUM. 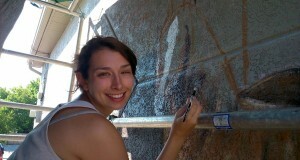 The program ventured to support our emerging artists in “bridging the gap” towards a professional career in mural art. 11 of our emerging artists (Leadership Training in Mural Making Grads, or past employees) were accepted into the CONTINUUM one-year pilot program. 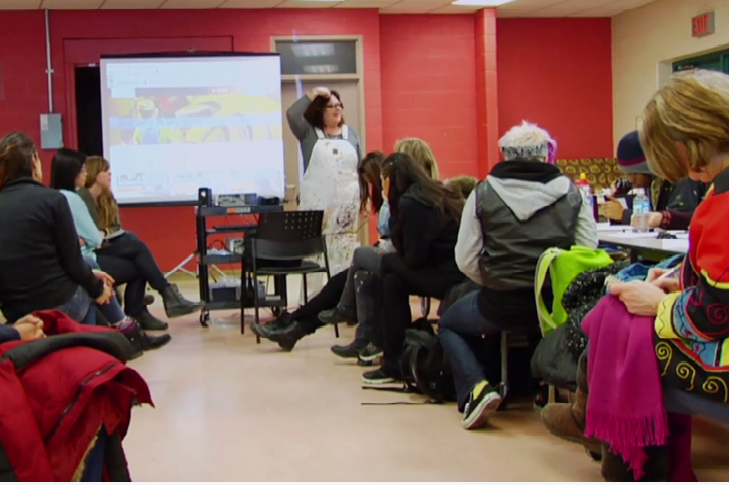 More than a dozen “unofficial” participants, Mural Routes emerging artists, were involved in capacity building opportunities through the program. CONTINUUM:a mentoring and apprenticeship program for emerging mural artists designed to help them reach their potential to become practising, paid professionals working in mural art and related fields. 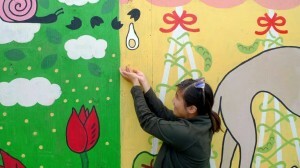 Largely self-directed, each apprentice was guided in an initial self-evaluation and then expected to customize a program of learning and apprenticeship in order to achieve their own professional goals which lead to confidence in entering the work force and leading projects in the field of mural art. Workshops, projects and opportunities were recommended by Mural Routes on an individual basis, and the group met and communicated throughout the year to stay on track. 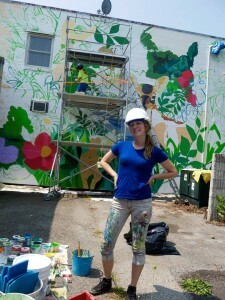 Megan Nowick, CONTINUUM Participant, completed her first solo mural at T-Zone in her hometown of Bowmanville, ON. 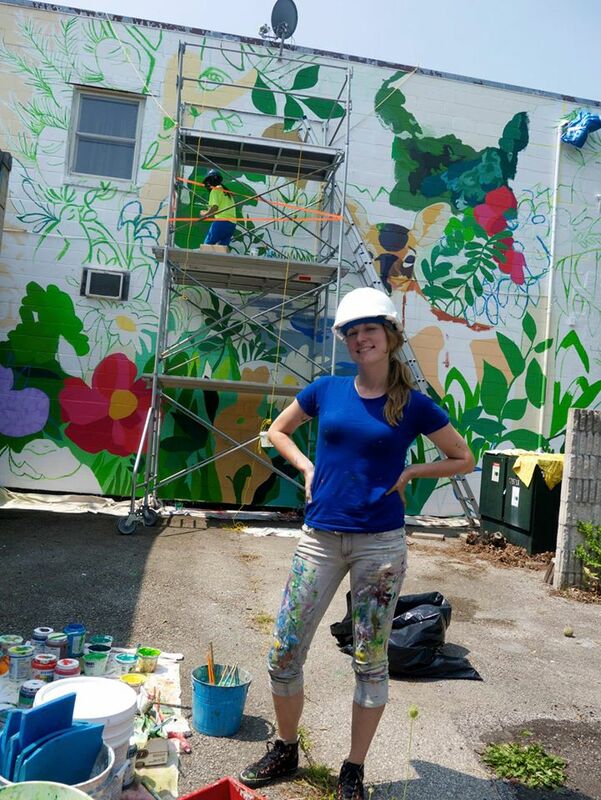 Final Report: We will be uploading our Final Program Report, including observations and plans to move forward with our dedication to training emerging muralists with new CONTINUUM programs in the future. Stay tuned to the Mural Routes website for this. In March 2014, four CONTINUUM participants were part of a workshop led by internationally renowned muralist and educator Judy Baca. CONTINUUM participants and other emerging artists had opportunity to volunteer, learn and network at the National Mural Symposium in Oct 2013. 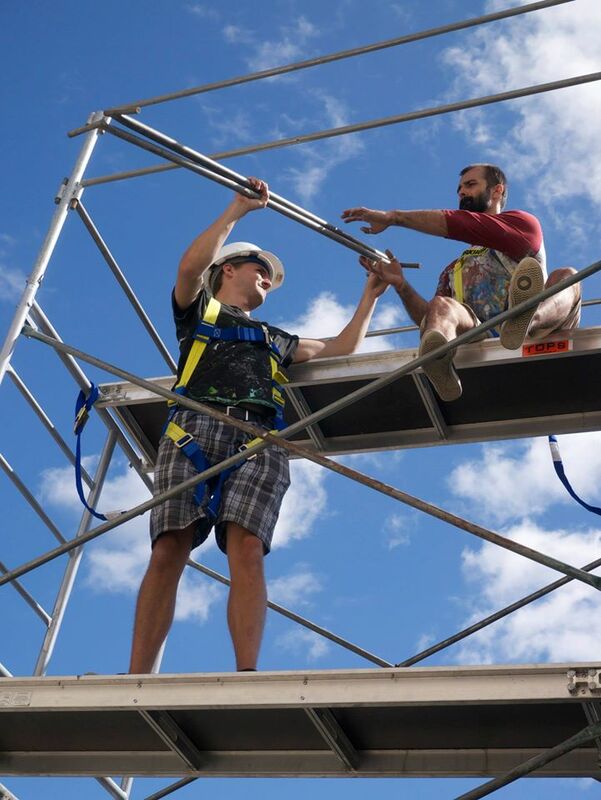 We are committed to finding ways to stay in touch and support the emerging muralists with which we build relationships through our training programs and projects. Please contact us if you are looking for an artist to lead or assist on a project – we have many great artists who are eager for more ‘on the wall’ experience! 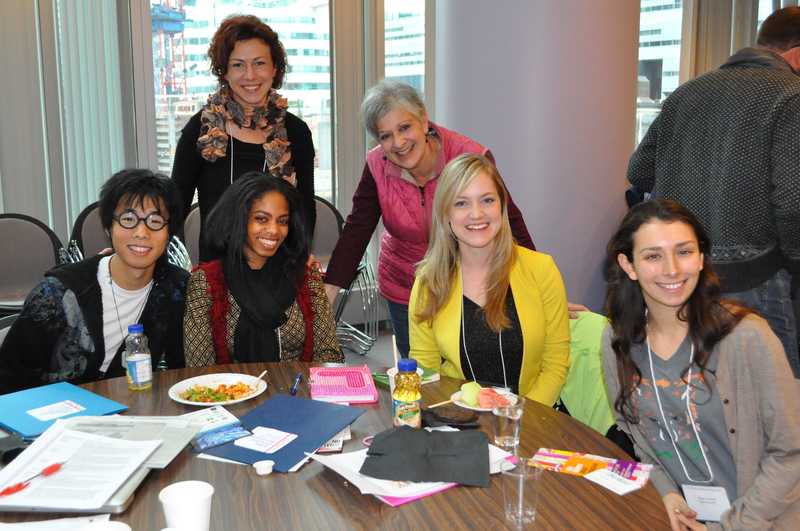 This program is made possible through the support of the Toronto Arts Council and Ontario Arts Council.